Smartphones are versatile bits of kit right out of the box but with a well-chosen accessory or app you can do even more with the gadget in your pocket - from gazing at the stars to acting as a backup to your Kindle e-reader, you can add a lot of extra strings to its bow. We've picked out 11 of our favourite such uses in the list below, so if you're done exploring all the usual tasks your phone can cover - from Snapchat to video calls - then give these a try. You might be surprised at what your phone can do with the right tools installed. By using a reference measurement taken through your iPhone's camera, SpeedClock for iOS can turn your Apple handset into a makeshift radar gun and measure motion speed. You get high-speed video recording, synchronised timing gates (for measuring speed between two points) and more. Unfortunately there's no decent option on Android yet. Behold the Smartboy, a case for your Android phone that turns it into one of the most iconic handheld gaming devices of all time (either a Game Boy or a Game Boy Colour). However, at the moment the case is only on sale to developers (for $59.99 or about £45) as makers Hyperkin Lab look to get the device software polished and ready for a full release. You can't actually turn your tiny phone camera into a bona fide telescope, but there are a bunch of very cool apps that let you point your handset at the stars and get real-time info. SkySafari for Android and iOS is one of the most comprehensive apps for the job we've seen. Upgrade to the Pro or Plus versions and you can control your home telescope too. Join the VR revolution with your phone. The Gear VR is perhaps the best-known virtual reality accessory, though you need a recent Samsung Galaxy handset to be able to use it. It's not the only option: Google Cardboard headsets work with Android and iOS devices and other low-cost devices worth a look include the Homido and the Zeiss VR One. You might already use your phone as a sat nav but it works pretty well as a dash cam too if you get the right app installed (and they can be very handy for your next insurance claim). CamOnRoad for iOS and Android is one of the best picks although there are alternatives for both platforms. You can sign up for a premium account to get access to more features. This is actually a built-in feature on iOS, though it's not all that easy to find: open up the Compass app, swipe to the left and there's your spirit level, ready for your next DIY project. On Android (or indeed iOS) you can simply Google "spirit level" on the web and a spirit level widget appears, letting you know when your handset is perfectly level on a surface. 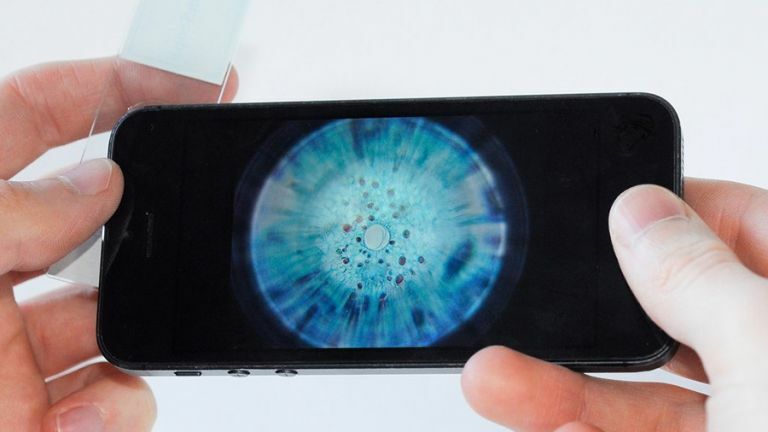 The Micro Phone Lens was born on Kickstarter and can be yours for $49.99 (about £40) and above, turning almost any smartphone or tablet into a more precise scientific instrument. You get a 150x level of zoom so if you've always wanted to run your own experiments and studies at home this is your chance. You get some specimen slides included with the kit. You probably already know your phone can count your steps if you've left your fitness tracker at home, but you can turn your mobile into a fairly decent heart rate monitor too. Instant Heart Rate for Android and iOS is a very good app for this, using your phone's camera to measure blood circulation and adding an extra variable to your health tracking. No need to go out and buy a bulky flatbed scanner, because your phone can do the same job for you, using its rear camera and a suitable app - again there are several to pick from. CamScanner for Android and iOS is a very good option that works painlessly on both the major phone platforms, while Scanbot for iOS only is packed with features too. Your phone's bright screen may not be as easy on the eyes as an e-ink display, but you can still turn it into a handy e-reader with the help of the free Kindle app for Android and iOS. You don't need to own a real, physical Kindle to read and buy books from Amazon, but if you do then your reading progress is synced across multiple devices and indeed the web. This probably suits an older smartphone or camera unless you want to leave your current mobile sitting at home all day, but it's another alternative use that's easy to set up. Manything for Android and iOS is the most impressive and complete option we've seen but there are others, letting you view a live feed of your house from wherever you are.